To experience the fullest possible sound and beauty of your piano, it must be properly tuned. We have built our business in Oregon City around this most important and basic element of piano art. 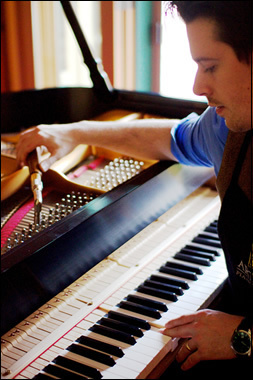 Whether it’s been a couple of months or 20 years since your piano was last tuned, give us a call to schedule an appointment with a piano tuner/technician for your piano tuning. Learn what is included in your service.